The Carabeamer Flash light is powered by 2 D batteries (not included), it comes with a carabiner clip so you can hang it just about anywhere, it has an ergonomically designed shaft that makes holding it much more comfortable and it also has a Xenon bulb. 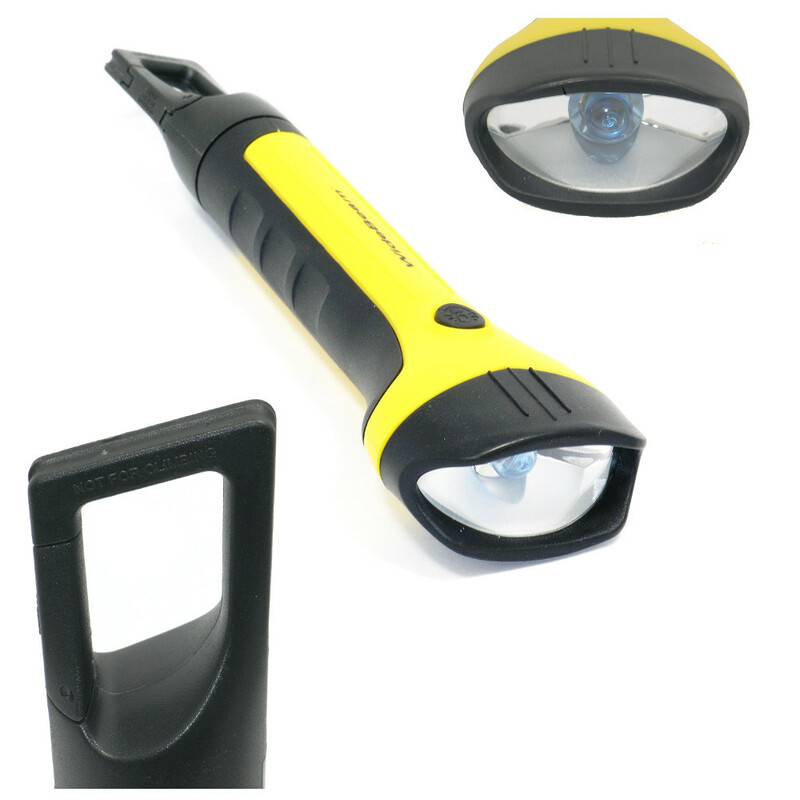 The Carabeamer Flash light is powered by 2 D batteries (not included), it comes with a carabiner clip so you can hang it just about anywhere, it has an ergonomically designed shaft that makes holding it much more comfortable and it also has a Xenon bulb. The rubber on the end acts as a shock absorber if it's ever dropped. These Xenon bulbs produce a whiter light and a wider spread (140o s[read) of light than a standard bulb. This wider spread lights up more of the path in front of you increasing night time vision. The whiter light reflects off signs more effectively making reading them at night far easier. The white light is also close to the colour of daylight. This means your eyes can focus better on the things in front of them which reduces night time fatigue.